Ever find yourself standing in front of the microwave oven saying, “Hurry up?” Or pushing the elevator call button every five seconds while waiting for the elevator to arrive? Waiting is said to be one of the most difficult things to do. I know, it’s a tough assignment. We get impatient waiting; we hate to have to wait for our ride to arrive or our food to be served, and even for our prayers to be answered. But let us not forget that the Bible promises power to those who patiently wait upon the Lord (Isaiah 40:31). More importantly, we do not survive spiritually if we do not learn to wait. It’s important to note that the strength we have right now that needs to be renewed from time to time is not our own strength. It is strength that we received when we first came to the Lord in weakness. 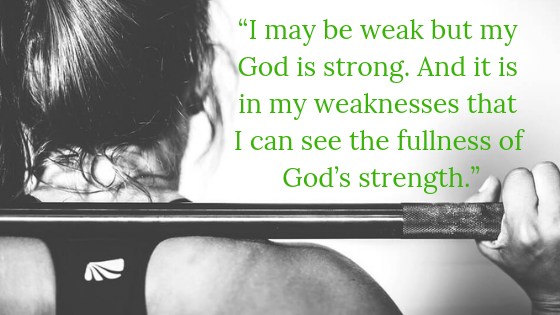 Unless we first acknowledge that we are weak, we will never admit that we need the Lord’s strength. For “God’s strength is reserved only for those who know they are weak and know they have no might” (David Guzik). So how do we receive this “new” strength from the Lord? We receive it by waiting. We need to understand that waiting on the Lord does not mean sitting around until the Lord does something. Indeed, God gives us strength but we should not expect it to come as if He were just pouring it into us while we sit passively. We receive God’s strength as we continually seek Him and rely on Him, instead of our own strength. We should wait on the Lord with patience. When we do not know what to do about something, we should wait. Often times we get caught up in just doing something that we neglect to hold still, listen and know that He is God (Psalm 46:10). So many of us are waiting for something and as we wait, we can become discouraged and start asking when the waiting will ever end. Will God ever answer my prayer? When the pieces of our lives are not fitting together the way we want, we get busy and start trying to force things to work, as Abraham and Sarah did. We should wait on the Lord with prayer. The first step in getting answers to our prayers is to pray. When we face trials, prayer should be the first we head. Psalm 130:1-2 is a prayer for God to listen. The psalmist is so consumed with despair, asking God to listen to his requests. Twice the psalmist says in Psalm 130:5-6 that his soul waits for God’s response. Consider also the repeated phrase, “more than those who watch for the morning. The psalmist is so eager for the Lord’s presence that he says it twice for emphasis. Are you praying while waiting on the Lord? We should wait on the Lord on purpose and make God the focus of our lives. Divorce, addiction, emotional disorders, and criminal records are evidence of lives torn apart because someone decided on pursue to follow some voice other than God’s, some counsel other than God’s, some plan other than God’s. We also read in Psalm 1:1-3 that there is a blessing for those who do not seek the counsel of the wicked. Clearly, the righteous man and the ungodly (wicked) man are different in the way they think and behave. The Christian knows that God’s word is always the best counselor, and godly counselors will always bring the truth of God’s word to help someone who needs counseling. Seven months ago, I submitted my resignation letter because I truly believed that I am not properly compensated for the work that I do and have been doing for 8 long years. I have been praying and asking God for a raise for more than 2 years but it seemed like God was silent. So I took that as a go signal from God for me to resign and apply in another company that is willing to pay me more than what I was currently making. Upon handing my resignation letter, the HR called me to his office and asked if I would consider staying. In return, they will give me a pay raise. What he offered was much lower than what I was expecting. But because I have not heard from the companies I applied to and my resident visa is expiring in a few days, I took the deal. Today, I still feel like my salary isn’t worth the workload that I do. Was I impatient for doing things my way instead of waiting on the Lord? Maybe! Today, I take delight in the great and mighty things that God is doing n my life and church ministry. God is still good and He is good all the time. And through all that, I have learned that if we take the time to pursue God’s direction and wait for His response, we will get much better results. Are we weak? It is because we are not waiting on the Lord. God loves us and He wants us to live with joy, hope, and victory. But at the same time, God desires for us to wait with patience, in prayer, and on purpose and He will answer. There is power in waiting on the Lord. It gives us the benefit of getting our strength renewed. The basic meaning of the word renew is to change; it means to keep putting on fresh strength. But we also have to remember that the Lord gives us strength not to show off but to move forward and progress for Him and in our walk with Him. I’m happy to read this lovely post about waiting on the Lord. I would say it’s an eye opener to what God can do and also love the way you highlighted your points. Waiting on the Lord could be a challenge because I myself couldn’t help but stress out during the entire waiting period. But then as you said, to wait does not necessarily mean sitting passively while waiting for God to give what we are asking for. While waiting on the Lord to renew our strength and to give us the desires and longings of our hearts according to His will, we must continue to seek and serve Him with all out heart. Thank you so much for continually posting inspirational and encouraging articles. I so much believe in God and His power that can save. I’m a living testimony of His wondrous work. I’m glad you found this post an eye opener. But you’re not alone. A lot of Christians know exactly what you mean by “stressed out.” Waiting is indeed the most challenging job one has to do. However, the difference lies in the One whom we are waiting on. With people, there is no guarantee that what we are longing for will come true but in the Lord, we have confidence that we will never have to wait in vain. We just need to trust God and in His perfect timing. God is faithful and will keep His promises. Honestly??? I do not feel your testimony was good enough to convince people to wait on the Lord. If you kept waiting instead of taking the action to resign, your pay rise wouldn’t have happened. Don’t you think so? Faith without works is dead, the bible said. And this only means to me, that if I pray and do nothing but wait with faith, I wouldn’t achieve anything but if I pray and put in work, then I might begin to see the manifestation of what I have prayed for. What about the people who waited and waited to no avail, what can you say about their wait that was in vain? Hi Vapz, thanks for dropping by and sharing your thoughts. I really appreciate it. I guess you’re right – my testimony may not be convincing enough for people to wait upon the Lord and trust in His timing. And that is why I said I wasn’t sure if what I did was the perfect illustration of not waiting upon the Lord. But here’s the thing, when it comes to what’s up ahead, nobody knows it so much better than the omniscient God that I serve. For me, it was the right thing to do at that time. However, there are times when I couldn’t stop thinking about how things have worked out had I decided to trust God more and waited. As I said, the pay raise I got was not what I was praying for and expecting. What if I waited for God to work on my behalf? I don’t know. All I know is that God always has my best interest at heart. In regards to the verse you quoted that says, “Faith without works is dead” (James 2:26). Please note that James here is addressing the people who claim to have received salvation as a result of placing their faith in Christ, but are still living their old life. Can we not use this verse to support the reasoning that when we ask God for something, we must also do our part and not just sit and wait? As I said, waiting upon the Lord does not mean sitting passively and wait for God to just drop the answers on our lap. We must wait patiently, wait in prayer and wait with a purpose. By this I mean, we must continue to seek God and act according to His instructions. God does speak to us in various ways when responding to our requests. He may speak to us through His word, the Bible. How do we know we’re hearing Him correctly? 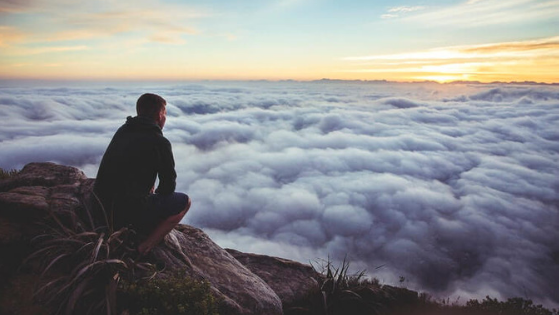 If what we perceive God is telling us is in line with what the Bible says then by all means, we should go for it. God may also speak to us through our pastors and church leaders so we must seek their counsel, not the counsel of the ungodly/wicked (Psalm 1:1). And of course, God also speaks to us through dreams and visions (Job 33:15). 1. Yes, and He will give it immediately. 2. No, because He has something better for us. 3. Wait, because this is not yet the time for that. If it is meant to be, it will be, so pray without ceasing , as it is written, we are all predestined for those that believe! Indeed, God’s timing is always the best. That’s why when God says, “Wait,” we must wait patiently and trust that God will give what we are asking for, in His time. God is faithful which gives us the confidence to trust in His promises. Those who wait on God shall never be disappointed and they shall all fly like eagles. But it pains me to see how some people have twisted the scripture just to preach their own self belief which is against what we all believe in. There is always a huge result whenever we wait on God. I love this topic; it’s really addressing our current situation of things. Hi Salim, thanks for stopping by. The Bible is so rich with wisdom and encouraging messages and we can always go to it whenever we feel like quitting or giving up. The Word of God does teach us that in times when we think God is not answering our prayers and petitions, we are assured that God has something better in store for us because as our Father, He always knows what’s best for us. The saying that, “good things come to those who wait” is especially true concerning the things that we ask of God. In times when we feel weak and tired, we can count on the Lord to renew our strength. We just need to learn how to wait on the Lord and trust Him more even when things aren’t going the way we want them to. For there is power in waiting upon the Lord our God and His perfect timing. But you’re also right when you said that there are people who twist and pervert Scriptures in order to advance their own agenda. And that is why we need to always seek the guidance of the Holy Spirit.